For women who are fleeing domestic abuse our refuge offers a safe and secure place for you and your children on a temporary basis. This can give you the time to gather your thoughts, begin to think about what you want to do next and perhaps even start the process of making a new life for your self and your children if you have any.. Currently we have 2 shared flats, where you will have your own bedroom, but will share a kitchen, bathroom and living room with other women/children. We also have one self contained flat which is also fully adapted for someone with disabilities. 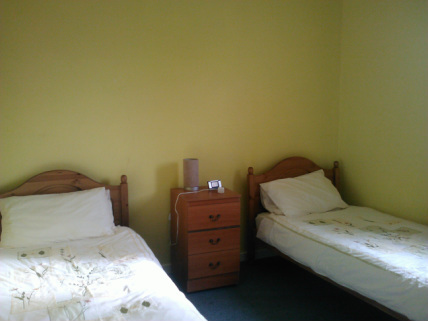 The flats are fully furnished and equipped with all the necessary utensils for cooking, cleaning, including bedding. A basic pack of toiletries and food can also be provided if required on arrival. A library of toys and books can also be accessed from our Refuge Children's workers if required. To ensure the continued safety and confidentiality of you, other women, children and young people living in the refuge there are a few rules in place: for example we do not allow any visitors. This is something we can discuss further if you decide you wish to access refuge.